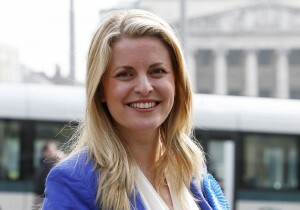 Conservative MEP Emma McClarkin’s plan to utilise blockchain technology to boost trade has been backed by the European Parliament’s Trade Committee today. Miss McClarkin’s report calls on the European Commission to use blockchain to simplify and streamline the EU’s customs procedures, to reduce the burden of customs paperwork and cut the cost of international trade for businesses. The World Customs Organisation estimates that global trade could be boosted by almost 15% if customs agencies embrace the emerging technology and transport costs could be reduced by nearly $1 trillion. Joint Conservative International Trade Spokesman, Miss McClarkin, said: “Blockchain can revolutionise the way businesses trade and exchange information, goods and ideas. We must start to use this technology to simplify customs procedures, so it’s easier and cheaper for companies to trade internationally. “The technology provides a secure, accurate and simple way for businesses along the supply line to log information, dates, and origins that customs authorities can easily check. By cutting the paperwork it will be easier for small and medium sized businesses to build global supply chains and trade internationally.